Enjoy certified elephant friendly tea! 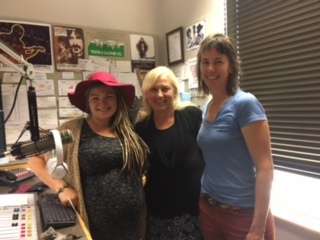 Alanya sat down with Lisa Mills- a UM wildlife program specialist who is spearheading the certification program for Elephant Friendly tea farms & Heather Kreilick, owner of Lake Missoula Tea Company to talk about their certified elephant-friendly tea. The Wildlife Friendly Enterprise Network (WFEN) and the University of Montana jointly announce a first- of-its kind certification program which will empower consumers to play an active role in conservation,and provide tea-growing companies with a financial incentive to make positive changes for elephants within tea plantations. The Balipara Foundation of India has spearheaded support for this initiative by extending an invitation to Indian tea companies to join the effort to implement specific changes that top elephant experts agree will have positive impacts on Asian elephant conservation. Coming from Bodoland, Assam, India, it is the first certified Elephant Frienldy TM tea. The tea this farm comes from has shallow ditches, no electric fences, and uses bio pesticides (uses plants to ward off pests).